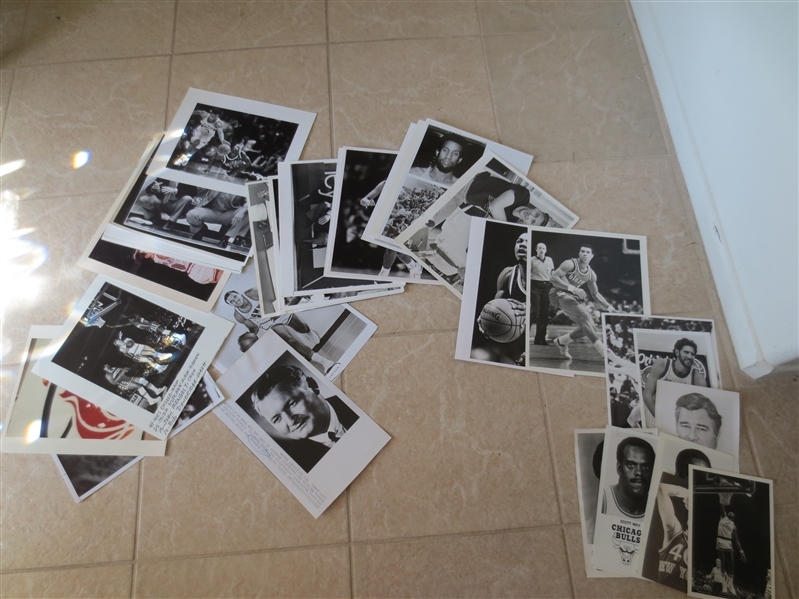 What we have here are thirty five NBA Press Photos from many years and sources. The players and coaches are identified on the backs along with the sources. Most measure 8" x 10".